The Skyscape Condos is a 250 unit condominium development located in Minneapolis's Elliot Park neighborhood. 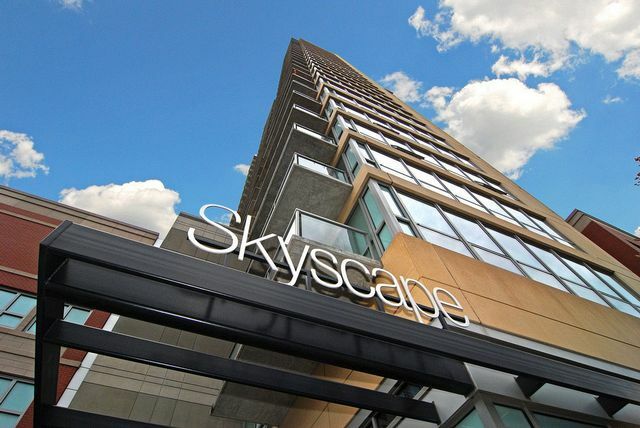 Skyscape was built in 2007 just after the success of its neighbor Grant Park condos also located in Elliot Park. This newer Minneapolis high-rise has a lot of appeal to young urban professionals in Minneapolis looking to be near the central business district and even perhaps Target corporate. Amenities include a pretty large workout facility, Rooftop park, 24 hr front desk, underground heated parking, bicycle lockers, and even a large party room. What plan options in the building one-bedroom condos, two bedroom condos, three bedroom condos, one bedroom + dens and penthouse condos. Other Minneapolis condos considered by buyers looking at Skyscape are also Riverwest, Grant Park and the IVY Residences condos. 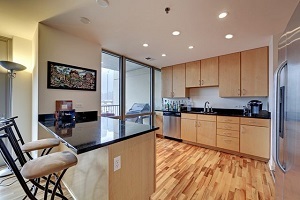 Looking to live at the Skyscape Condos in the Mill District but not finding what you are looking for? Inquire about our 'off MLS' Minneapolis Condo and Loft pocket listings.